"Lue language" redirects here. For Bantu Lue of Cameroon, see Oroko language. Tai Lü (Tai Lü: ᦅᧄᦺᦑᦟᦹᧉ, kam tai lue, [kâm.tâj.lɯ̀]) or Tai Lɯ, Tai Lue, Thai Lue, Tai Le; Xishuangbanna Dai (Chinese: 傣仂语; pinyin: Dǎilèyǔ; Thai: ภาษาไทลื้อ, phasa thai lue, pronounced [pʰāː.sǎː.tʰāj.lɯ́ː]; Vietnamese: Lự or Lữ) is a Tai language of the Lu people, spoken by about 700,000 people in Southeast Asia. 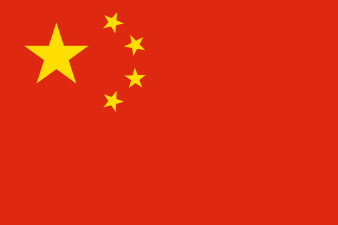 This includes 280,000 people in China (Yunnan), 200,000 in Burma, 134,000 in Laos, 83,000 in Thailand, and 4,960 in Vietnam. The language is similar to other Tai languages and is closely related to Kham Mueang or Tai Yuan, which is also known as Northern Thai language. In Yunnan, it is spoken in all of Xishuangbanna Dai Autonomous Prefecture, as well as Jiangcheng Hani and Yi Autonomous County in Pu'er City. 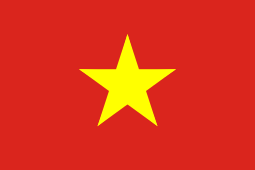 In Vietnam, Tai Lü speakers are officially recognised as the Lự ethnic minority, although in China they are classified as part of the Dai people, along with speakers of the other Tai languages apart from Zhuang. Tai Lü has 21 syllable-initial consonants, 91 syllable finals and six tones (three different tones in checked syllables, six in syllables). The initials ts- and s- are palatalised before front vowels which in the language are i, e, and ɛ and become tɕ- and ɕ-, respectively. For example, /tsíŋ/ "hard" and /si᷄p/ "ten" are pronounced as [tɕiŋ˥] and [ɕip˧˥] respectively. The table below presents six phonemic tones in unchecked syllables, i.e. closed syllables ending in sonorant sounds such as [m], [n], [ŋ], [w], and [j] and open syllables. There are six tones for unchecked syllables, although only three are allowed in checked syllables (those ending with -p, -t or -k). The table below presents two phonemic tones in checked syllables, i.e. closed syllables ending in a glottal stop [ʔ] and obstruent sounds which are [p], [t], and [k]. Word order is usually subject–verb–object; modifiers (e.g. adjectives) follow nouns. As in Thai and Lao, Tai Lü has borrowed many Sanskrit and Pali words and affixes. Among the Tai languages in general, Tai Lü has limited intelligibility with Shan and Tai Nua and shares much vocabulary with, the other Southwestern Tai languages. Tai Lü has 95% lexical similarity with Northern Thai (Lanna), 86% with Central Thai, 93% with Shan, and 95% with Khun. Below, Thai words are shown on the left and Tai Lü language words, written in Thai script, are shown on the right. Tai Lü is written in three different alphabets. One is Fak Kham script, a variety of Thai script of Sukhottai. 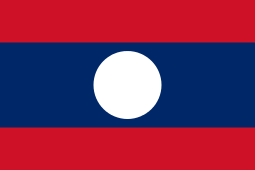 The second is Tham script and was reformed in the 1950s, but is still in use and has recently regained government support. The new alphabet is a simplified version of the old script. An ancient script, also used in Kengtung, Northern Thailand and Northern Laos centuries ago. Tham script is called 老傣文 lao dai wen (Old Tai script) in China. Readable by the most people and used in Burma, Laos, Thailand and Vietnam. China Post logo with New Tai Lü script in Mohan, Yunnan. New Tai Lü is a modernisation of the Lanna alphabet (also known as Tai Tham script), similar to the Thai alphabet, and consists of 42 initial consonant signs (21 high-tone class, 21 low-tone class), seven final consonant signs, 16 vowel signs, two tone letters and one vowel shortening letter (or syllable-final glottal stop). Vowels signs can be placed before or after the syllable initial consonant. Similar to the Thai alphabet, the pronunciation of the tone of a syllable depends on the class the initial consonant belongs to, syllable structure and vowel length, and the tone mark. The Bajia people (八甲人), who number 1,106 individuals in Mengkang Village (勐康村), Meng'a Town (勐阿镇), Menghai County, Yunnan, speak a language closely related to Tai Lü. There are 225 Bajia people living in Jingbo Township 景播乡, Menghai County (You 2013:270). The Bajia are also known as the Chinese Dai 汉傣. ↑ Hammarström, Harald; Forkel, Robert; Haspelmath, Martin; Bank, Sebastian, eds. (2016). "Lu". Glottolog 2.7. Jena: Max Planck Institute for the Science of Human History. ↑ You Weiqiong [尤伟琼]. 2013. Classifying ethnic groups of Yunnan [云南民族识别研究]. Beijing: Ethnic Publishing House [民族出版社]. Dāo Shìxūn 刀世勋: Dǎi-Hàn cídiǎn 傣汉词典 (Dai–Chinese Dictionary; Kunming, Yúnnán mínzú chūbǎnshè 云南民族出版社 2002). This is a dictionary of Tai Lü in unreformed spelling. Yu Cuirong (喻翠荣), Luo Meizhen (罗美珍): Daile-Han cidian 傣仂汉词典 (Tai Lü - Chinese Dictionary; Beijing, Minzu chubanshe 2004).